This is another theorem from the 2006 period. A poster at the 2+2 forum named “BalugaWhale” put forward this handy theorem that should help with a common yet tricky situation on the turn. Here is an example of where the Baluga Whale theorem commonly comes into play to help explain what this theorem means. You are one of the first to act before the flop, and with your hand you decide to make a 4BB raise. There is just one caller in late position and you both go to the flop. This is pretty much an ideal flop, so you bet 8BBs, which is around the size of the pot. The 7 is pretty much a harmless card, but it does bring along the flush and straight draw possibility, so a strong ¾ pot size bet is in order here to give any drawing hands the wrong odds to call. However, our opponent raises this bet and the action is back on us. This has turned the hand on it's head and we are left in a tricky situation. Throughout the hand we never really considered the fact that our opponent has us beat, as it has been all about getting the most from our top pair. According the the BalugaWhale theorem, we should strongly reconsider the strength of our pair due to this turn raise, and we should be looking to fold the majority of the time in this spot. Baluga theorem example hand history. Why is the Baluga theorem effective? Would our opponent be raising this turn with anything less than top pair? The simple answer is no. Any turn raise is going to show a significant amount of strength, and a weak top pair or worse is not going to warrant this sort of display of strength. I'm sure that you can feel how much of an awkward situation this is when you hold top pair top kicker, but we both know that folding is going to be the best move here the majority of the time. One of the biggest problems is that we are out of position, which means the information we have on our opponent is limited. You can try and convince yourself that the turn card was harmless and how might you like to think that your opponent is aggressively playing a draw, but at the end of it all you can't get away from the fact that you are in an uncomfortable situation where calling is likely to be a losing play over the long run. If you decide to call on the turn, what are you going to do on the river? Your opponent is almost definitely going to be betting out as a bluff or betting with the best hand, so closing your eyes and calling the turn bet whilst hoping for the best on the river isn't going to be a great strategy. Is the Baluga theorem still effective today? Yes. I would say that the Baluga theorem is one of a small number of theorems that you should take note of and incorporate into your Texas Hold'em game. Andrew "BalugaWhale" Seidman is a pretty well known name around the 2+2 forums. Andrew is a professional high stakes poker player and currently coaches over at the Deuces Cracked training site. He is actually a really awesome coach as well, which you should be able to tell from the sample video in my Deuces Cracked review. Andrew semi-regularly blogs at BalugaBay about general life stuff. 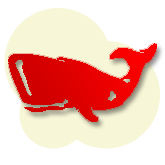 You can also read old posts and threads started by Andrew through his BalugaWhale 2+2 forum member page. For what it's worth, yes, "Baluga" is a misspelling of "Beluga". Not sure if this misspelling was actually intentional, but that's the way it stands. In my opinion, the Baluga whale theorem is one of the top three theorems (along with Zeebo's theorem and Clarkmeisters' theorem) to come out of forums over the last few years. I'm sure that you have been in this exact same situation many times before at the tables and had trouble making the best decision. At least now this theorem can lay your worries to rest as you make those folds with far less concern about whether or not you made the right play.